Antwerp equals diamonds, banks and art. Or at least those are the three things this wealthy seaport is known for, and those things equal a reputation for fine living. The reputation for wealth is historic, Antwerp occupied a key position on the prime trade routes during the 16th Century, and that's when many of the city's most grand and glorious buildings were built. The art came after, when, in the 17th Century, Antwerp's beauty inspired Rubens and Van Dyck, among others. 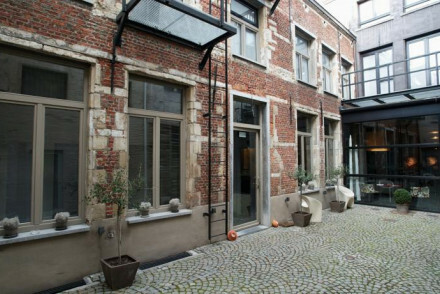 Our choices of the best places to stay in Antwerp are all perfectly placed to enjoy these to the max. Modern Antwerp still has that reputation for good living and low stress life, ideal for a relaxing city break. Its Flemish medieval architecture isn't as well preserved as you'll find in Bruges or Ghent, but the beautiful buildings from other historical periods make its skyline much more unique. And its beauty still attracts artists and artistic types, so it's also wealthy in museums, galleries and arty restaurants, cafes, bars and boutiques. And while 70% of the world's diamonds are still traded through Antwerp, this city is now promoting itself as a fashion capital as well. Antwerp is small enough to easily navigate on foot, but if speed is of the essence this is a great city for cyclists. The old town centre is about 2kms across, and many of the major sights are within the radius of the old walls. Antwerp is proud of its success story, both from the past and present. Rubens is one such famous son, and as well as appearing in many local galleries including the Rockoxhuis and the Koninklijk Museum, Rubens also has his own museum, the Rubenhuis, converted from his home and studio. 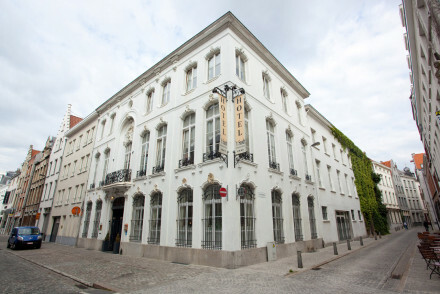 Antwerp also has a Diamond Museum, the Diamantmuseum. There's also 'Diamondland' where you can see them being cut and set in the daily 'show'. And if you want to purchase a diamond, skip the sellers near the station and visit the diamond merchants in the diamond district around Hoveniersstraat and Schapstraat. Antwerp's weekend markets are a lot of fun and you can find stalls selling the usual foods, clothes and gifts to antiques and bicycles. There's a big market on the Theatreplein Square. If you fancy a poke round the shops visit the area round the Meir, between the station and the Groenplaats. Those with an interest in fashion may prefer the Kammerstraat, which is where you'll find the Fashion Museum, and boutiques belonging to some of Antwerp's big name designers, including Dries van Noten. Plenty of Antwerp's most beautiful sights are free to see, from the neo-Gothic grandeur of the central train station to the Onze-Lieve-Vrouwekathedraal, another Gothic wonder, and the charming sights along the Schekdt Riverbank. The MAS museum, which tells the history of Antwerp is free, so well worth popping into, and the view from the rooftops is excellent. Antwerp has more pubs per capita than anywhere else in the world. And there's no official closing time. There are also plenty of French style cafes where you can get a good coffee and a range of beers. If you're feeling peckish you can pick up some frites any time from the fritkoten. Local specialities worth trying include the locally brewed beer, called 'Bolleke', Antwerpse handjes, which are biscuits or chocolates made in the shapes of hands, and Elixir d'Anvers, a plant based liquor. Be sure to visit Rubenshuis, the former house of legendary Flemish baroque artist Peter Paul Rubens. Filled with his and his protege Van Dyck's paintings, this isn't just an art museum; it is intended to be also an accurate replica of what his home would have looked like, with wonderful architecture, period interiors and lovely gardens. Grote Markt van Antwerpen, the city centre, is filled with beautifully historic buildings which will take you back to another era. Grab a coffee at one of the buzzy cafes, wander around the museums and then go for lunch. What's more, it's got some nice bars with live music to enjoy at night. Go for a walk around Middleheimpark, a cross between a contemporary art museum (with smatterings of sculptures) and a park. The city offers plenty of choice when it comes to accommodation. Amongst the best places to stay in Antwerp you'll find everything from apartment rentals and hostels to five star and boutique hotels. Just remember to plan (and book) well ahead - this is a popular year round destination for both business and leisure travellers. 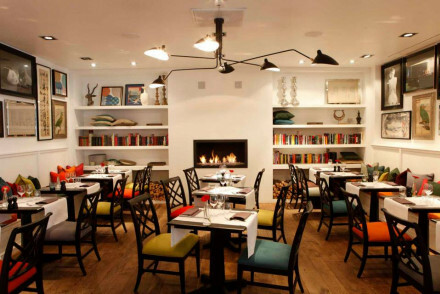 For the ultimate in urban simplicity try the Hotel Matelote. These airy, loft style rooms, with their white linens etc., let the charms of the 16th Century building speak for themselves. 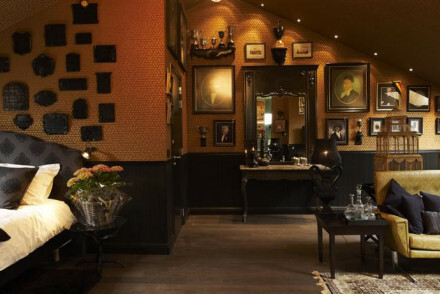 There are only ten rooms, four suites and six doubles, so if you're looking for somewhere intimate this is one of the best places to stay in Antwerp. Book The Glorious Inn if you're looking for something traditionally Belgian. This old inn only has three rooms, and they all have glorious details - wonderful antiques and art, and cracking original features. On top of one of Antwerp's trendiest concept stores, this is perfect if you want to be right in the centre of things. Room in The City is a quiet two bedroom loft hotel located bang in the centre of town. It offers minimalist contemporary accommodation around the corner from the city's hotspots. 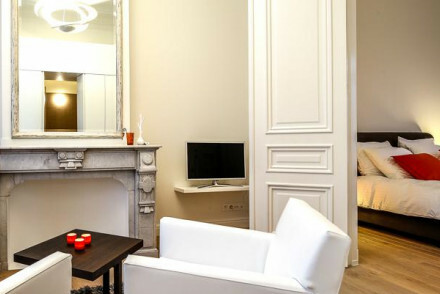 With just two zen respecting rooms in the heart of the fashion district, m0851 is one of the best places to stay in Antwerp if you're looking for peace and comfort. There's not a lot of fussy decorating going on, just clean lines and designer shopping on your doorstep. It's partly the lure of diamonds which makes this a romantic destination, but it's also the cafe culture and the way this city feels like it's open all hours. If you like your hotel rooms individualised, so you can choose the one you think your partner will like best, book the Hotel Les Nuits. Each room has a different theme and colour scheme, but it's not forced, it's just creative use of space and colour. In an upbeat urban way. 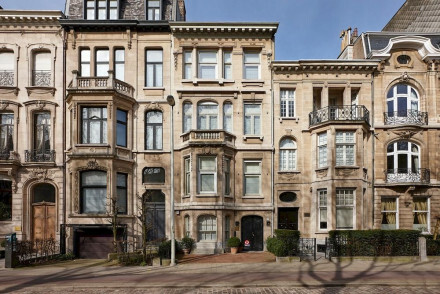 Also a stylish townhouse, De Witte Lelie has taken a more modern approach to the decor. So their original features, like chandeliers and fireplaces are contrasted with modern art and splashes of vibrant colour. Perfect if you're trying to impress! JVR 108, set in a classic townhouse, boasts traditional accommodation with large beds, marble bathrooms and antique furnishings. Come back after a day out sightseeing and relax in the garden. What's more, with just 3 rooms it has a lovely intimate atmosphere. If your kids get tired, jump on the Horse tram which leaves from the Grote Markt every hour, for a 40 minute ride round the city's highlights. And if they tire of the museums and architecture, Antwerp also has a world famous zoo and an aquarium called 'Aquatopia'. Sleek and sophisticated, the Hotel Julien is really child friendly. It's also close to the Grote Markt, the cathedral, the Rubenhuis and the MAS Museum. 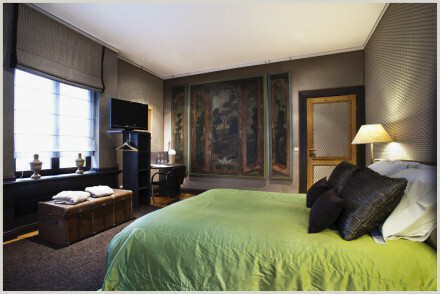 Boulevard Leopold boasts classic rooms with creamy furnishings, fireplaces and some even feature four poster beds. With self-catering apartments sleeping up to 3, it's a great choice for families. If you think a self-catering option would best suit your needs then have a look at the wide variety available online with our partner, booking.com. Antwerp experiences its nicest weather from May to September, and so this is probably the best time to visit. The hottest months are July and August, with an average temperature of 18°C. Many of the city's residents are also away on holiday at this time. Be warned though that this is peak season, and so prices for accommodation will be higher than at other points during the year. So if you fancy paying a little less but still experiencing the city in all its glory, October may be your best bet - most of the tourists will have disappeared and the weather's still perfectly pleasant (experiencing an average temperature of 12°C). Visitors can fly into Antwerp International Airport, served by direct flights with Cityjet from London City Airport and taking around an hour. Or, if you fancy coming by train then you can head from London St Pancras to Brussels before changing and heading on from there to Antwerp. The journey time is usually just under four hours. The easiest way to get from the airport to the centre of town is by taking a taxi, which costs roughly €12 and will get you there in 12-15 minutes. Alternatively, check out our recommendations in Bruges and Ghent. 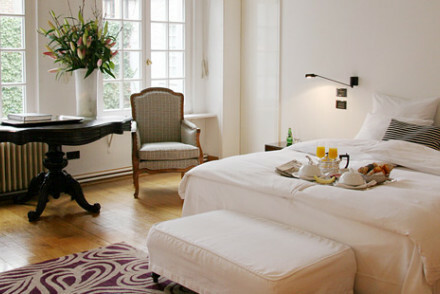 A former church parsonage, now elegant boutique hotel in the heart of the city. Individually styled rooms are traditional yet chic with rich hues, clean lines and pale wooden floors. The reception areas are sophisticated and glamorous. A grown up property and an ideal base to explore the city. Local exploring - Ideally situated in a quiet yet central city location. Great walks - Stroll through the scenic Central Park, just minutes from the property. Sights nearby - Visit the former home of famed artist Rubens. 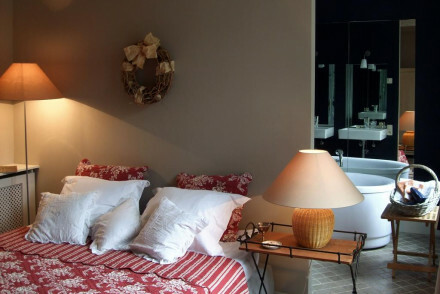 Beautifully decorated B&B with classic rooms and apartments. Enormous rooms, some with four poster beds, have creamy furnishings, stand alone bathtubs, fireplaces and parquet floors. A romantic choice for couples, and the apartments serve families or groups well. 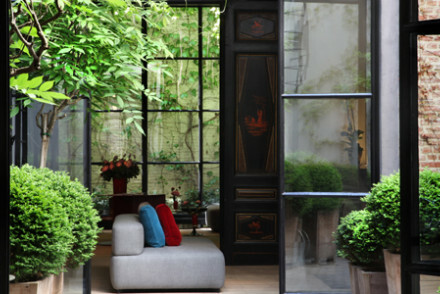 Sleek designer loft-style rooms and suites in a 16th century townhouse. All white walls, sloping wooden beams, minimalist lines and sky lights. Cosy sitting room with fireplace, breakfast rooms and meeting area. Urban cool. 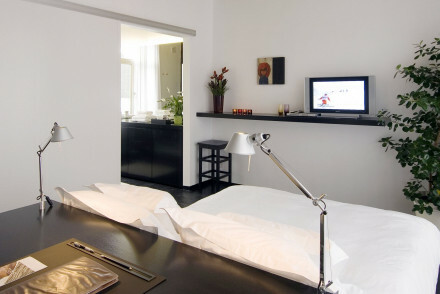 Quiet, intimate two-room loft hotel in Antwerp's city centre. Designed with minimalist aplomb, the rooms are sleek and comfortable. In the heart of the city, it's the perfect launchpad for exploring Antwerp and offers more privacy than an ordinary hotel would. Sights nearby - Ten minutes walk from Ruben's House. Urban chic in the cobbled streets of Antwerp's fashion district. Smart contemporary rooms have modern furnishings, brightly coloured walls and paintings. Lovely restaurant and terrace, spa and business centre. A sophisticated choice. 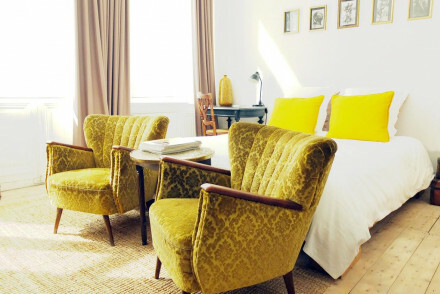 A boutique hotel set in the historic heart of the city. Elegant rooms perfectly mix traditional and contemporary styles with white-washed walls, softly patterned fabrics, antiques and indulgent modern bathrooms. The friendly hosts, walled garden and fabulous breakfasts make this a special stay. Local exploring - Ideally located within walking distance of many of the city's main attractions. Sights nearby - Visit Rubenshuis, the former home of famed artist Rubens. Stylish guesthouse in a classic Belgian townhouse. 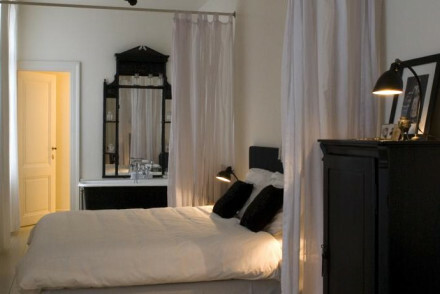 Bedrooms are a clever mix of contemporary and antique, and feature large beds with luxury linens and marble bathrooms. A comfortable lounge and small city garden are perfect for chilling out. A smart choice for a city break, not far from the action. Sights nearby - Just a 20min walk or 7 min tram ride from all of Antwerps sights, shops and museums. A gloriously traditional Belgian inn with romantic bedrooms and a gourmet restaurant. Oak beams, four poster beds, stand alone bath tubs and sultry lighting. A gourmet spot with bags of charm. An urban oasis with bright contemporary rooms, a zen spa, restaurant and wonderful roof top terrace bar. Bedrooms in neutral tones have parquet floors and creamy furnishings. A calming and romantic spot. Sights nearby - a stone's throw from the Cathedral and Rubens House close by. Local markets - Grote Markt. A beautiful townhouse hotel with palatial suites decorated in sleek classic style. Huge rooms have wooden beamed ceilings, lots of natural light, earthy furnishings and vast beds. Understated luxury in an urban oasis. A stunning townhouse with classic interiors and sumptuous bedrooms. Suites and bedrooms blend classic elegance and contemporary elements. Chandeliers, parquet floors and fireplaces contrast sleek modern furnishings and modern art. A very stylish spot.